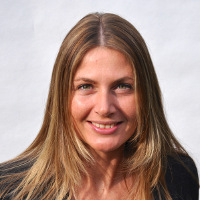 Marijana is a co-founder and CEO of EdgeLeap. Her focus expertise is implementation of network and systems biology concepts into research of life science industries. At the time Marijana obtained her BSc and MSc in Molecular Biology and Physiology, the human genome had just been sequenced – giving rise to expansion of genomics technologies and a promise of understanding life’s complexity at a whole new level.